Have you ever dreamed of a place where the warm sun dries Iker Casillas tears before they reach his cheek, the Persian Gulf breeze blows through Xabi Alonso's beard and Pepe stomps someone to death on the beach? 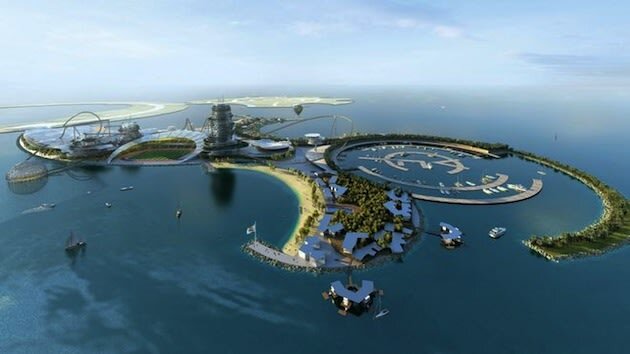 Then welcome to Real Madrid Resort Island -- a holiday resort in the United Arab Emirates scheduled to open in January 2015. A presentation at the Bernabeu on Thursday showed plans for sports facilities, a marina, luxury hotels and villas, an amusement park, a club museum and a 10,000-seat stadium with one side open to the sea. "It is a decisive and strategic step that will strengthen our institution in the Middle East and Asia," said Real president Florentino Perez. 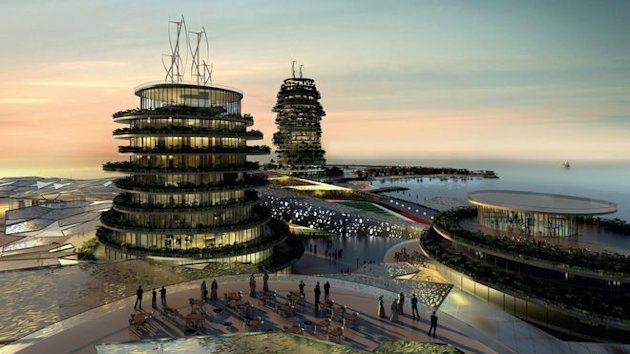 The 4.6 million square foot venture is in partnership with the government of the Emirate of Ras Al Khaimah and is expected to attract a million visitors in its first year of operation. But since that's a whole three years away, Jose Mourinho probably won't be one of them. Hopefully Barcelona will build their own island right next to Real Madrid's, but make it so everything is miniature and inhabited by Ewoks. I told you this is a company not a football club! !